When you combine a beautiful landscape with learning you get Flagship's new Alpha Tree. 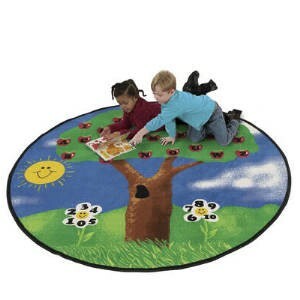 This rug not only creates a great enviroment to learn but also has great learning tools. The apples on the tree contain the alphabet and the daisies contain numbers. Alpha Tree has a life-time wear warranty.